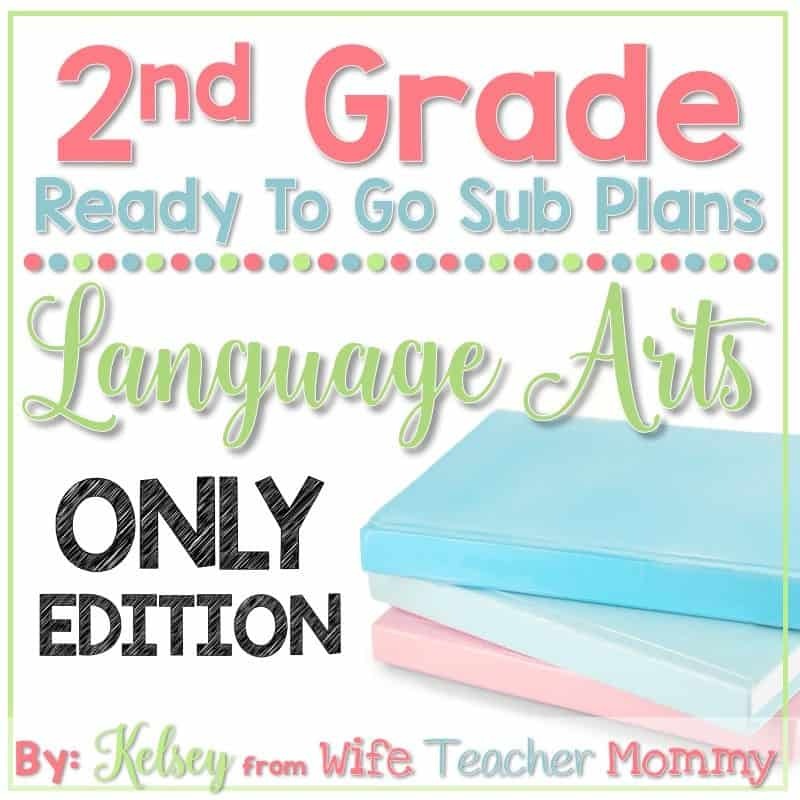 These 2nd Grade Language Arts Only Edition Sub Plans have been compiled from all of the ELA lessons from my 2nd Grade Ready To Go Sub Plans Full Bundle. I’ve been asked a LOT lately for departmentalized versions of my sub plans for departmentalized teachers who really want to use the sub plans, but don’t need all of the subjects. Please note: These will be geared towards departmentalized teachers! 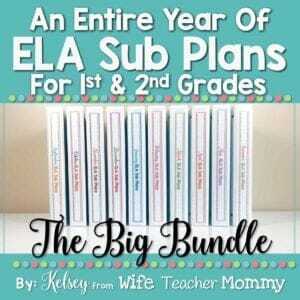 If you have already purchased by 2nd Grade Sub Plans Bundle, do not purchase this. 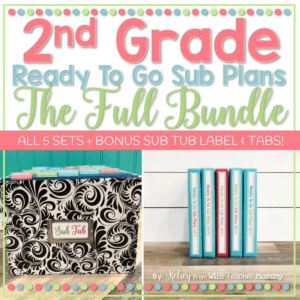 This is not brand new content, but simply a re-organization of the already created sub plans, for teachers who do not need any other subjects. Each lesson in the 2nd grade sub plans is simple enough for the sub to follow, but the students will be engaged in real learning …and not just busy work. Each lesson plan has a section for notes at the bottom for any notes you’d like to leave for the sub (or for the sub to leave you notes!) Each lesson plan also includes all the graphic organizers, activities, or worksheets needed to complete the lesson.